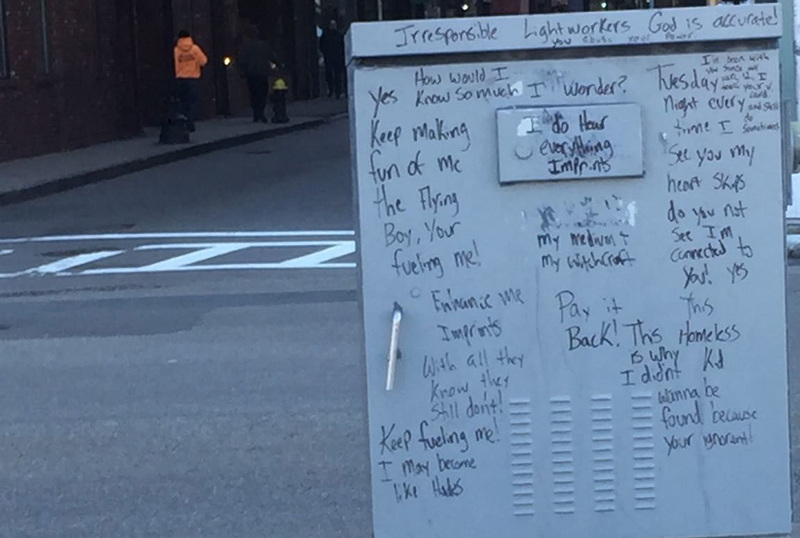 A concerned citizen filed a 311 complaint about an overactive writer on a utility box at West and Tremont streets downtown. 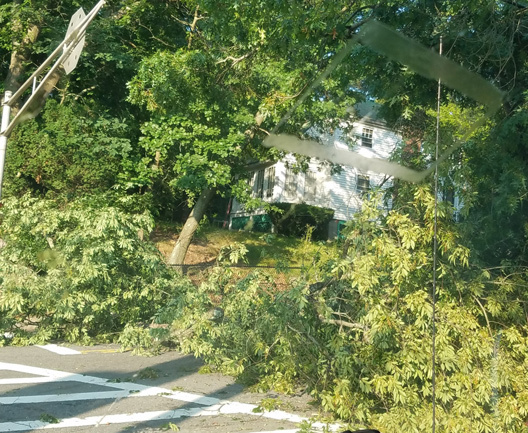 Sometime overnight or early this morning, a tree fell at West and Austin streets, causing problems for motorists and riders of the 50 bus. Photo by Sean Flynn. WBZ reports a new Dunkin' Donuts at Tremont and West streets is just Dunkin' - because the chain thinks people need to be slapped in the face with a reminder that it serves more than just donuts. Of course, it also serves more than just things that can be dunked, too, so maybe the next step is to just call it Apostrophe. Stabbed in the leg at West and Tremont streets around 9:30 p.m.
Matthew Cody, 31, of Arlington received the sentence today following his conviction yesterday on two counts of assault with a dangerous weapon for a 2015 incident on West Street after he got off work at a downtown restaurant. Read more. A man driving a pickup truck with a large propane tank in the bed plowed into the house at 102 West St. in Hyde Park shortly after 5 p.m. today. Witnesses, who included Weaverson Ulyesse and David Pierre, said the driver seemed to have floored it when turning left onto the narrow West from the even narrower Hilton Street. Read more. The Zoning Board of Appeals today approved a plan by a Dunkin' Donuts franchisee to fill in an empty storefront on Tremont Street at West Street with a new Dunks. When open, the location means people needing a Dunkin' Donuts iced coffee while standing at Tremont and West will no longer have to walk an entire two blocks to the Dunkin' Donuts at Tremont and Park or Washington near Winter and Summer. 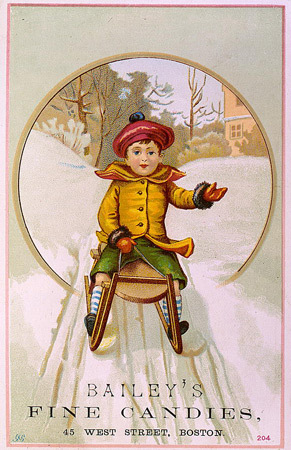 This ad, printed sometime between 1875 and 1900, is from the Library of Congress collection. An Arlington man had bail set at $30,000 at his arraignment today on charges of arson and attempted murder for an incident last October on West Street downtown, the Suffolk County District Attorney's office reports. Matthew Cody, 30, was so intent on setting two sleeping homeless men on fire that he set a second fire when the first one went out, Assistant District Attorney David McGowan said in court today. Read more. The crane after it tipped over. Photo by ChinatownKicks. 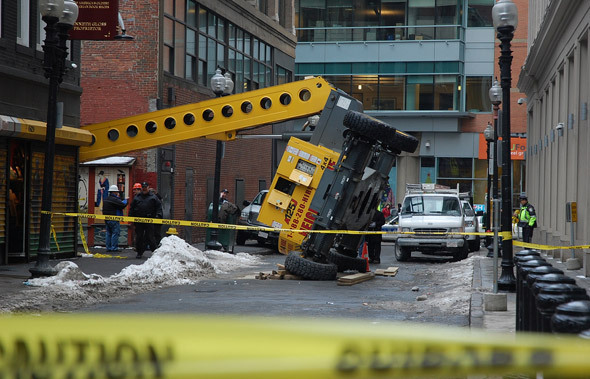 The Massachusetts Appeals Court today upheld a nearly $10-million verdict for the death of James Williamson when the boom-lift crane from which he was inspecting a the roof of a Suffolk University building downtown tipped over, hurtling him into the wall of a neighboring building. Read more. Bridge Over Troubled Waters, which provides services for homeless youth, is suing a Chicago-based chain of tea shops, which it says simply abandoned the space it had agreed to rent in the non-profit group's downtown building. Read more. Urban goat. Photo via the mayor's office. Boston Magazine reports the Southwest Boston Community Development Corporation is renting goats to chow down on all the poison ivy infesting an urban wilds at the end of West Street in Hyde Park. Somebody who thought he was arranging a sneaker exchange instead found himself surrounded by five guys, at least three armed with knives, shortly after 3 p.m. at West Street and Myopia Road. The suspects, described as white males, took his wallet and then ran into the nearby George Wright Golf Course. Four wore black hoodies, one a gray hoodie.